Artificial intelligence (AI) everywhere, transparently immersive experiences and digital platforms are the trends that will provide unrivalled intelligence, create profoundly new experiences and offer platforms that allow organisations to connect with new business ecosystems. 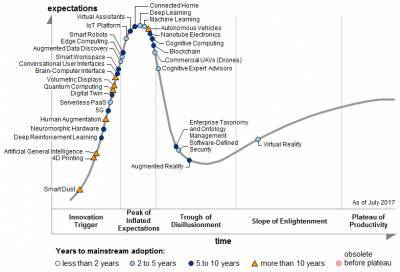 The Emerging Technologies Hype Cycle is unique among most Gartner Hype Cycles because it garners insights from more than 2,000 technologies into a succinct set of compelling emerging technologies and trends. This Hype Cycle specifically focuses on the set of technologies that is showing promise in delivering a high degree of competitive advantage over the next five to 10 years. "Enterprise architects who are focused on technology innovation must evaluate these high-level trends and the featured technologies, as well as the potential impact on their businesses," said Mike J. Walker, research director at Gartner. "In addition to the potential impact on businesses, these trends provide a significant opportunity for enterprise architecture leaders to help senior business and IT leaders respond to digital business opportunities and threats by creating signature-ready actionable and diagnostic deliverables that guide investment decisions,” he added. "When we view these themes together, we can see how the human-centric enabling technologies within transparently immersive experiences — such as smart workspace, connected home, augmented reality, virtual reality and the growing brain-computer interface — are becoming the edge technologies that are pulling the other trends along the Hype Cycle," said Walker. "These megatrends illustrate that the more organisations are able to make technology an integral part of employees', partners' and customers' experiences, the more they will be able to connect their ecosystems to platforms in new and dynamic ways," said Walker. 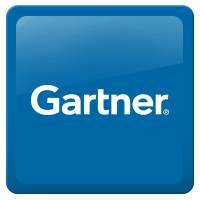 Gartner clients can read more in the report "Hype Cycle for Emerging Technologies, 2017." This research is part of the Gartner Trend Insight Report "2017 Hype Cycles Highlight Enterprise and Ecosystem Digital Disruptions." With over 1,800 profiles of technologies, services and disciplines spanning over 100 Hype Cycles, this Trend Insight Report is designed to help CIOs and IT leaders respond to the opportunities and threats affecting their businesses, take the lead in technology-enabled business innovations and help their organisations define an effective digital business strategy. Additional analysis on emerging trends will be presented during Gartner Symposium/ITxpo 2017, the world's most important gathering of CIOs and senior IT executives which will take place in Goa, India between November 13-16, 2017. Fastrack presents The Music Run, Bangalore’s biggest party this season!